Mantis’s September gardening calendar is a guide to everything you could or should be doing in your garden this September. It’s part of our monthly gardening guide and, if you’re new to our guides, you ought to look back over the August and July guides to see what else you should be doing around this time. September’s gardening guide covers lawn care, garden care, fruit & vegetables, and more. Find out more below. Prepare for winter – Now is a great time to get your lawn ready for the winter months. 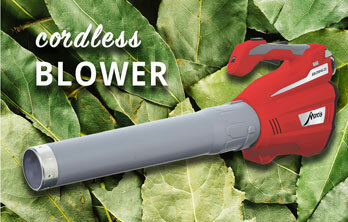 Start by scarifying using the rake attachment for your Mantis Tiller. Use this to remove all the thatch and moss that will have built up over the summer. 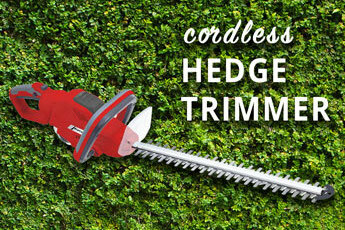 Follow this by aerating the grass with the aerator attachment available for your Mantis Tiller for this also. This will allow air and moisture to penetrate if your lawn has been heavily trampled over the summer and you may also like to dress it with a layer of topsoil to put some of the nutrients back into the soil. Reseed thinning areas – Following aerating, throw a little seed over the areas where the grass has become thinner, as this will encourage new growth in the spring. Treat moss patches – If you are finding there is a moss problem on your lawn, treat it with a moss killer (always follow the manufacturer’s instructions). A liquid killer applied from a watering can is probably best and will turn the moss black. 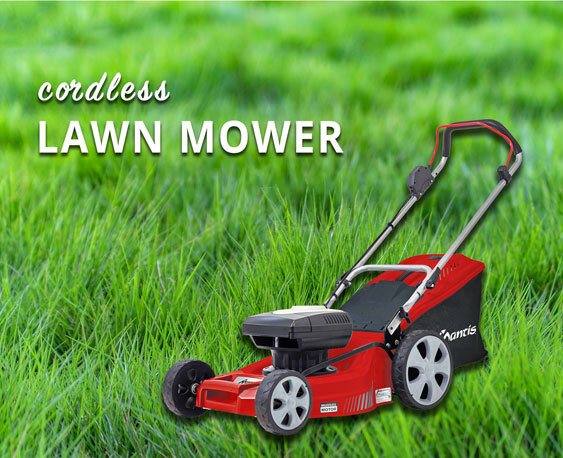 You can then rake it out, either by hand or by using the Scarifier attachment for your Manits Tiller and throw some grass seed down to repair any areas left bald by the moss killer. Keep on mowing – The rate of growth will be slowing now so you can reduce the frequency of mowing but lift the height a little to protect the roots from the sun as we can still experience summer-like conditions during September. Feed the lawn – Use an autumn lawn feed now, which is high in potassium and phosphates, which strengthens the grass as opposed to spring lawn feed that is high in nitrogen to encourage lush growth. Using the Autumn feed now will ensure a strong, healthy condition to get it through the winter. Treat pests – Leather jackets (lava of the Crane Fly or Daddy Long Legs) and chafer grubs may be active now. These can be treated with biological-control nemotodes; July – September for chafer grubs and September – October for leather jackets. Plant spring bulbs – Now is the time to start thinking how you want your garden to look in the spring time and make some provision for this. You can start to plant some spring bulbs now, such as daffodils, hyacinths, crocus and iris. To ensure they get a good start and will develop into healthy plants in the spring, make sure you choose good sized, firm bulbs with no signs of mould on them. Clear your beds – Most of your summer bedding plants will be fading now so clear them away to make way for some autumn flowering varieties such as chrysanthemums or sedum and keep the colour going. Plant your spring bedding plants – If you prefer you can start to fill your beds with some hardy perennials now, such as bergenia, foxglove and achillea. This is a great time to get these started as the still-warm soil will help to establish a good root system producing strong resilient plants next year. Divide up your established perennials – This needs to be done to stop the plants from becoming congested, restricting new growth. Do this by gently separating the root ball, ensuring that each individual has leaves and roots. You can then replant or share amongst your friends. Keep deadheading your flowers – You can keep your containers and hanging baskets in colour by taking the dead or fading blooms off regularly and keeping them watered on a daily basis. Also, remember to feed them every week. If the plants are starting to die off now, consider removing them and replanting your containers with autumn variations to keep your garden colourful for a while longer. Choose from a wide range of suitable varieties including heathers, hebe, choysia and maybe set them off with a soft grass for texture, such as carex, blue lyme grass, blue oat grass or feather reed grass. Your dahlias will be peeking now – They are usually a mass of colour at this time of year, producing their best displays. Keep taking off the faded blooms to encourage new ones to appear for a while longer. Sowing in September – As the ground cools there are fewer options with regards to planting. However, you can still plant winter cabbages, spring cabbages, winter spinach, spring cabbage and White Lisbon spring onions to be picked in spring. 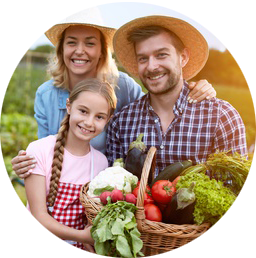 Lots to harvest – You should now be reaping the rewards of your hard work over the summer growing season and harvesting lots of vegetables such as carrots, beetroot, broccoli, brussels sprouts (later in September) and much more. Plant some green manure – If you have finished with growing vegetables for this year, you could think about planting some comfey or other green manure once you have cleared the beds of debris. This can then be turned into the soil using your Mantis Tiller in the spring and will provide lots of nutrients for the next growing season. Cure off your squashes – Don’t allow squashes to ripen on the ground, lay them on cardboard or straw to prevent them touching the wet soil. If they come into contact with it, they are likely to end up rotting and you will lift them up to find a slimy mess on the underside. Once ripened, remove them from the plant and cure them in the sunshine to harden off their skins. Once hardened off, store them in a cool, dark, aired space for a couple of weeks before transferring them to a cool place to store until needed. The last of your maincrop onions should be ready now – Once their leaves start to die off, remove them from the soil and dry them off, either in the sun or in seed trays in the greenhouse if the weather is wet. They require air to move around them to dry off and prevent them rotting. If it is still sunny and warm, putting them in the green house could partially cook them, resulting in a rotting mess. You can dry them off in nets or string them together and hang them for a few days. Apples and pears will be ripening now – They can be harvested this month. If you find you have an abundance and want to store them, pears will keep in the fridge for up to a week and apples will last a couple of months if stored in a cool, dark, frost free place such as the cellar or a shed. Prune your berries – Most berry bushes will be slowing their yield of fruit at this time of year so it’s a good time to prepare them for next year by pruning the canes down to the soil and tying the newer growth that hasn’t bourn any fruit to a frame or fence, these will produce the fruit in the next season. Harvest your maincrop potatoes – Check that they are a decent size by forking out a clump carefully, so as not to harm the tubers. If they are still on the small side, leave the other plants in the ground for couple more weeks. You can leave potatoes in the ground until October although bear in mind that the longer they are in, the more prone to disease and pests they are. Keep tending to your tomatoes – Greenhouse plants can still produce fruit for a while yet if you look after them well. 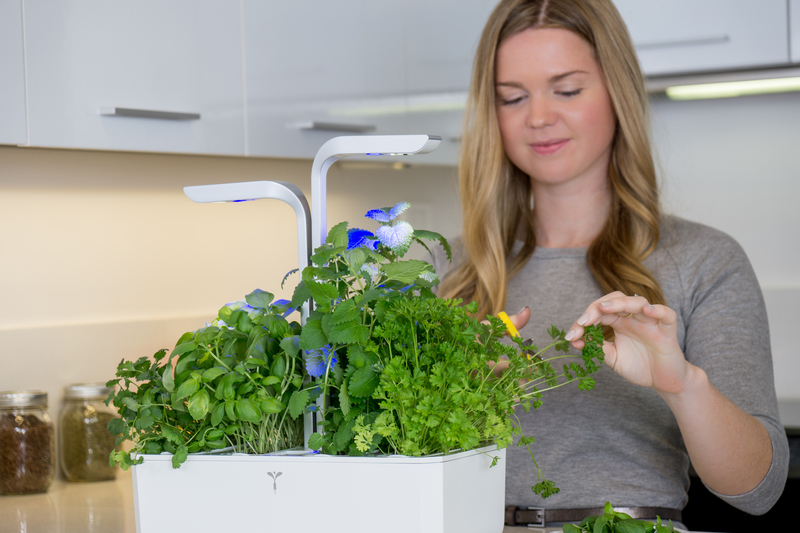 Keeping them ventilated and removing any discoloured leaves will help to keep them going for a couple more weeks yet. Remove the lower leaves from the plants to concentrate their energy on the business end, the trusses higher up. Cover your pond – Leaves will start to fall this month, so covering up your pond with netting will prevent them falling in and blocking up filters or just creating a slimy mess. Leaves in the water can also encourage weeds and algae to form, which can be harmful to fish. Keep removing weed – Blanket and duck weed may still be persisting so keep sweeping the pond to remove it. Leave it on the side for a while to allow any wildlife to crawl out. Get composting – You can start compost now ahead of next season. 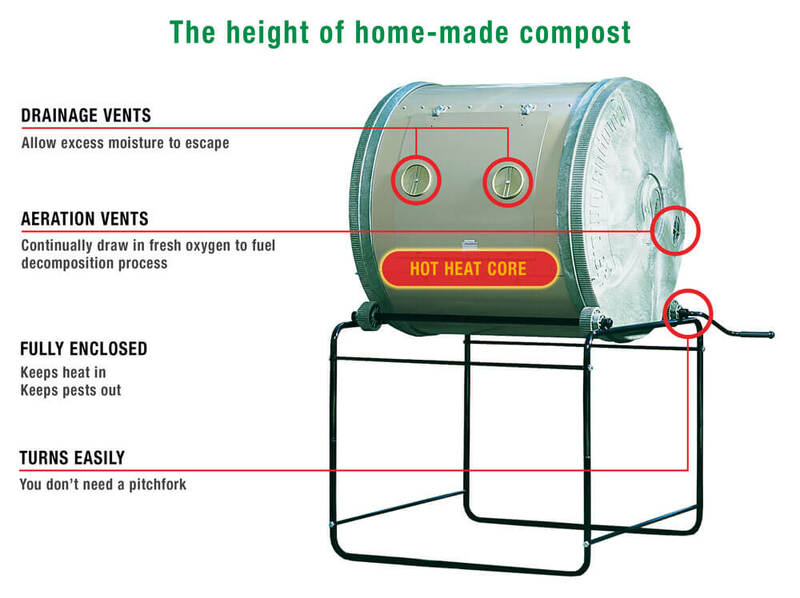 The Mantis ComposTumbler is ideal for this and will still produce compost for you until the temperature drops significantly, although you can make up batches and store it as you will likely not need to use as much in the autumn and winter months. It will keep in plastic bags or dustbins but don’t let it dry out; keep turning it and if it starts to dry out, add a little water to it to restore moistur. Keep birds happy – Keep topping up bird tables as our little feathered friends will need our help as the temperature drops and their natural food sources are not as abundant. You can provide food for them in may forms; mixed bird seed, bread, raisins, currants, soft fresh fruit such as apples and pears. Alternatively, you can buy ready-made food for them from pet shops or garden centres, such as fat balls, which will be a rich source of energy for birds in the colder months ahead. Also, don’t forget to keep your birdbath topped up as this is a great source of drinking water for them. Please get in touch with the experts here at Mantis if you have a question about our range of tillers, the tiller attachments or just a question about this September gardening guide.